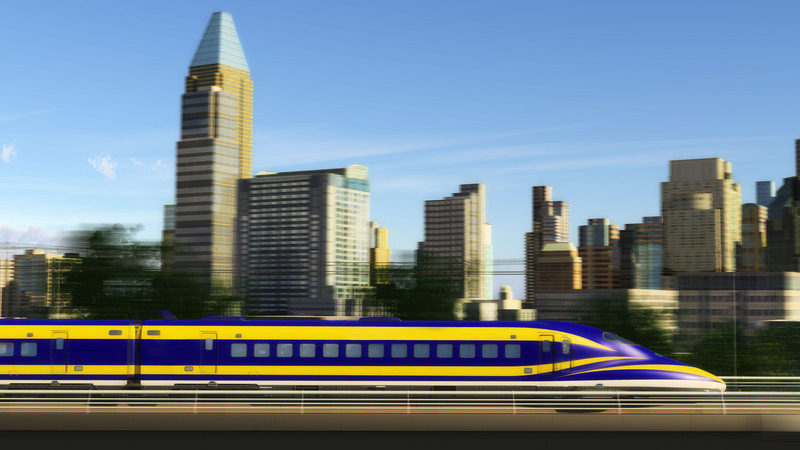 SACRAMENTO, Calif. (CN) – After a delay, the California High-Speed Rail Authority on Wednesday awarded a hotly contested contract to a German engineering firm to help with the preoperative and early-operation phase of the fledgling bullet train network. The rail authority awarded a $30 million contract to DB Engineering & Consulting, the U.S.-based subsidiary of German rail giant Deutsche Bahn. The company will help make procurement decisions with an eye toward future operations while the system is being built, and is also charged with running the system profitably once the network comes online. Richard said bringing on an international firm with significant commercial experience will help the rail authority live up to pledges it made to California taxpayers in 2008, when it said it would not use public money to subsidize the operation of the train system. “We are not just building a railroad, we are building an enterprise,” Richard said. Not all of the rail authority members were as bullish on the contract as Richard, however. Board member Ernest Camacho said the rail authority needs to do a better job in clarifying its process when it responds to contract awards, alluding to the recent controversy surrounding the latest contract award. Last month, representatives from Spanish high-speed rail operator Renfe said they scored higher on the technical portions of the proposal and came in with a lower bid than other competitors. But the company scored worse on the oral response section of the contract, which it characterized as subjective. Renfe formally protested the contract award, delaying the process for an organization very familiar with schedule delays. In the end, the rail authority board said the oral response part of the process was important and had no problem with the manner in which the staff emphasized that portion of the contract-awarding process. Board member Dan Curtin said he continues to be frustrated by the lack of plans for private investment, particularly as federal support for the project remains muddled at best. “We just don’t seem to have the commitment on the investment side,” Curtin said during the proceedings. Funding problems loom for the project, which is estimated to cost $64 billion. Initial plans called for the state to furnish two-thirds of the funding for construction, with the federal government and private investment making up the remaining third. But the election of President Donald Trump has cast doubt on the prospects of federal help. Trump has sent mixed messages, talking early on about the need for infrastructure investment and signaling frustration that the United States lags way behind other nations in terms of high-speed rail. However, he has also criticized California and its spending habits and seems unlikely to support a project universally castigated by Republicans from the Golden State and elsewhere. Despite questionable financial prospects, Richard said the fact that highly regarded international transportation firms fought hard to win the contract bodes well for the project. “It demonstrates the confidence that the international community has in California high-speed rail,” Richard said. Renfe, DB Engineering and three other firms were under consideration for the lucrative contract, including other private and state-affiliated train operators from China, Britain and Canada. Meanwhile, construction continues in the Central Valley, with bridges, viaducts, grading projects and other projects underway in Fresno, Bakersfield and other parts of the Central Valley. Initially, that segment of the track was predicted to cost around $6.4 billion, or about 10 percent of the entire $64 billion project. But recent estimates disclosed in the authority’s quarterly business report indicate that cost could rise. The report pegs the final Central Valley segment tally at closer to $8 billion. A report from the Federal Railroad Administration said the segment could come in at as much as $10 billion. But the high-speed rail authority said that feds’ estimate was taken from a leaked document that was part of a worst-case risk assessment, and does not accurately reflect current budget estimates.